She put him firmly in the friend zone, but he wasn’t giving up that easily. Abby Summerhill had a type—the unattainable player. 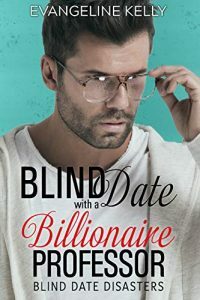 When a friend set her up with handsome science professor, Colin Fitzgerald, she couldn’t believe her luck. He was tall, dark, and handsome, and made her stomach flip in the most amazing way. But something happened during the date that made her write him off completely, putting him firmly in the friend zone. Colin might be handsome, smart, and extremely wealthy, but he couldn’t have a conversation with a beautiful woman to save his life. As a mycologist, he spent more time buried in his research than out socializing, and he wasn’t sure he had it in his DNA to make a woman happy. After his father’s failed marriages, Colin didn’t see the point in trying—until Abby. What began as a friendship turned into something much more. Colin was faced with a decision: remain in self-protective mode or put himself on the line, loving the way that only Christ could love. Sometimes love hurts, but sometimes, it’s the best thing that ever happens to you.